The crowd of seeking sinners had stayed on the other side of the lake. They realized that only one boat had left to cross over to the other side and Jesus wasn’t in it. While Jesus was absent from the crowd, He came to His disciples walking on the water to illustrate to us that we too come to Jesus through His shed blood and draw closer to Jesus by walking on the water of His Word anointed by the Holy Spirit. Then some boats from Tiberias landed near the place where the people had eaten the bread after the Lord had given thanks. Once the crowd realized that Jesus nor His disciples were there, they got into the boats and went to Capernaum in search of Jesus. Vv23-24 These sinners were seeking Jesus because He had fed them physical bread to satisfy their hunger. 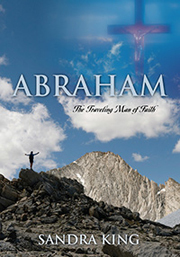 When they found Him on the other side of the lake, they asked Him, “Rabbi, when did you get here?” v25 They called Him Rabbi indicating that they saw Jesus as a religious leader but they did not see Him as the promised Messiah. Jesus didn't answer their question directly. Instead, He responds to their spiritual need. Jesus answers them, “I tell you the truth, you are looking for Me, not because you saw miraculous signs, but because you ate the loaves and had your fill. Do not work for food that spoils, but for food that endures to eternal life,” which the Son of Man will give you. On Him, God the Father has placed His seal of approval. Vv26-27 Jesus had multiplied the bread and the fish to feed this crowd physically. Now He will use this miracle to reveal to the crowd that He is the Bread of Life sent down from heaven. This crowd was following after Jesus for a free meal, but Jesus will now feed them spiritual food. Bread is the staple of life in the natural. The spiritual bread of the Anointed Word is also the staple of our spiritual life. A person can survive a long time on bread and water. God supplied the Israelites with bread and water to sustain them through their journey through the wilderness of sin in route to God’s Promised Land, just as He supplies the spiritual water of the Anointed Word to sustain us through our journey in the wilderness of earth which is full of sin until we reach the Heavenly Promised Land. The bread and water of life – Jesus and the Holy Spirit – keeps our spiritual life surviving. Jesus wants this crowd to crave the spiritual food of His Anointed Word more than physical food that spoils. Physical satisfaction is fleeting, but the Word of God that believers feed upon is eternal and will never die. God’s Word does not change because He and the written Word are Truth. The Word Incarnate – Jesus – brings spiritual life. Jesus on the cross labored and shed His pure blood so we could have spiritual life. His death brought our dead, fleshly lives to spiritual life when we receive and believe in Him. Jesus wants this crowd of seekers to labor for that which endures and is supplied by God – the Living, Anointed Word of God. Matthew 5:6: “Blessed are those who hunger and thirst for righteousness, for they shall be satisfied.” There is no spiritual life or satisfaction in sin. God put the seal of the Holy Spirit upon Jesus and the written Word. He has also sealed us as His own through the Bread of life – Jesus – and the water of life – the Holy Spirit. Jesus gave life to the world by giving His holy, spiritual life! When Satan tempted Jesus in the wilderness, He said to Satan, “man does not live by bread alone, but by every Word that proceeds from the mouth of God.” (Deuteronomy 8:3; Matthew 4:4; Luke 4:4) God said this in the Older Testament and Jesus repeated it in the New showing that He is that Bread as the Living Word of God. In other words, the written Word brought to life in Him. As the Word of God satisfies our souls, when we do the Word of God we please God just as Jesus did. God said He was well-pleased with His Son because He only did what the Father spoke. Jesus keeps His spiritual bread coming as long as we hunger and thirst for it. New life comes through the unending supply of His Word supplied by the Father, Jesus and the Holy Spirit. Jesus, the Bread of life was born in the House of Bread (Bethlehem). His life didn’t start in Bethlehem. He was with the Father and the Spirit at creation before anything was spoken into existence. He is the Word of God in the beginning and the Word of God in the end. Jesus satisfied our spiritual hunger and thirst with His spiritual bread and water that preserves our eternal life. When we come to know Jesus, we embrace the Word of God. He is the embodiment of the Word of God and the Way, the Truth (whole) and the Life. The Father, Son and Holy Spirit are never in disagreement. They work together as One with one will and one purpose. When the Body of Christ does the Word, we grow more like the Godhead and walk more in oneness. Sin brings division but walking according to the Word of God brings unity. To tie the two testaments together, I will use the showbread on the table of fellowship in the tabernacle. God instructed Moses to construct a table in the Holy Place of the tabernacle for the showbread. There were 12 loaves on the table that only the high priest and the priests could eat. Two groups of six – 6 being the number of man. Twelve is the number of Divine Government. The two groups of six represent all of God’s people. This bread was referred to as the bread of the Presence. (see Exodus 25:23-30; Leviticus 24:5-9) This bread was to be before God at all times. The table of Presence and the showbread were a picture of Jesus, the Bread of God’s Presence who is before the presence of God from the beginning, throughout His time on earth and through all eternity. This showbread was to be eaten “by Aaron and his sons, who are to eat it in a holy place, because it is a most holy part of their regular share of the offerings made to the Lord by fire.” Leviticus 24:9 The high priest and his sons the priests are the only ones who were to eat this bread. Believers in Jesus, our Great High Priest, are to also eat the bread of the Word for spiritual life. Every Sabbath, the priests would put fresh bread upon the table before the Lord. This bread was dedicated to the Lord making it holy. Then the priests would eat the unfresh bread so none of it would be wasted or fall to the ground because it was holy to the Lord. In like manner we too are to eat the holy Word and dedicate ourselves to the Lord. The twelve loaves of showbread reminded the Israelites that they lived in God’s presence and are to be dedicated to Him. God will give the Body of Christ fresh bread also through revelation knowledge. There is always more we can learn and understand in the Word of God. God puts the desire for eternity in our hearts. Ecclesiastes 3:11-14: He has set eternity in the hearts of men; yet they cannot fathom what God has done from beginning to end. I know that there is nothing better for men than to be happy and do good while they live. That everyone may eat and drink, and find satisfaction in all his toil – this is the gift of God. I know that everything God does will endure forever; nothing can be added to it and nothing taken from it. God does it so that men will revere him. Only God can satisfy our desire for righteousness. He did so in Jesus. On the cross, Jesus made atonement for the sins of the whole world and then imputed His righteousness to us. Jesus satisfied our desire for righteousness and eternal life. The bread that sustained the Israelites during their wilderness journey could not give them eternal life. Jesus, the spiritual Bread sent down from heaven did. Alleluia to the Lord!